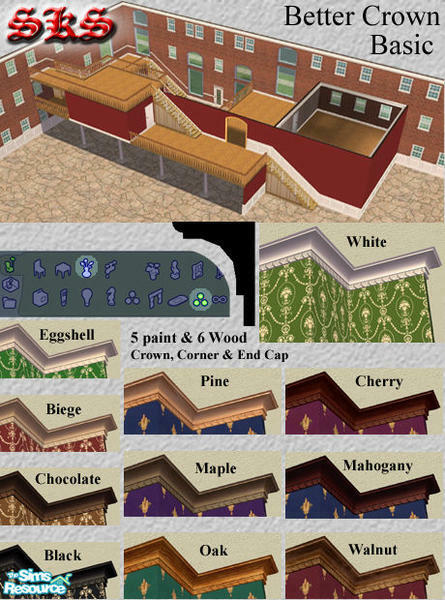 In this section you can find various architectural elements and decorations custom content downloads for The Sims 2. 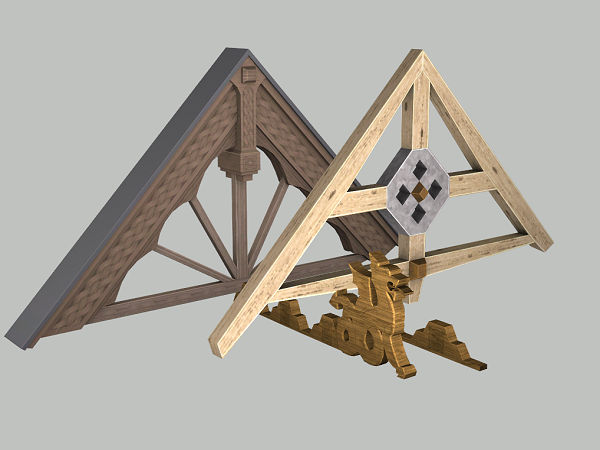 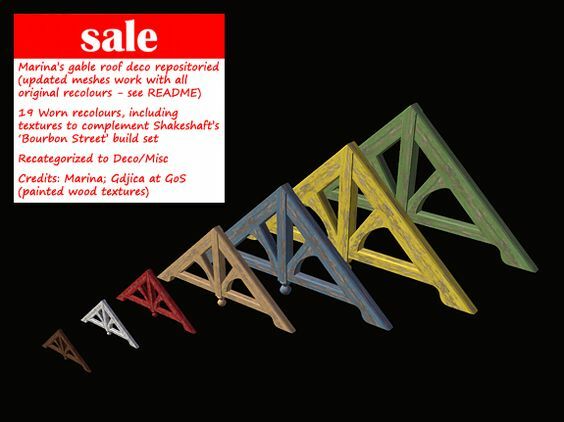 Description: Roof gable in 5 variations and with 7 recolors. 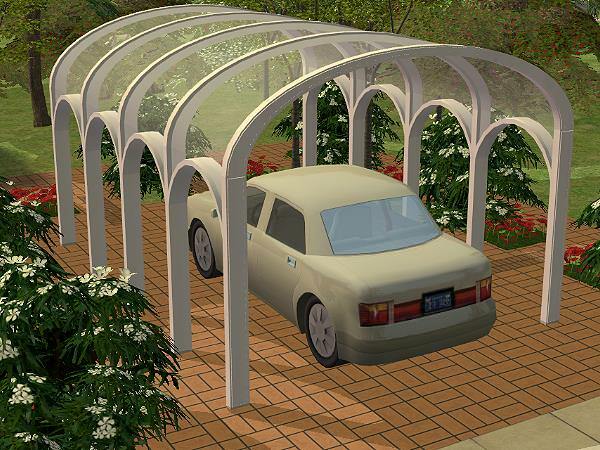 Description: The Sims 3 Dragon Valley roof gable conversions. 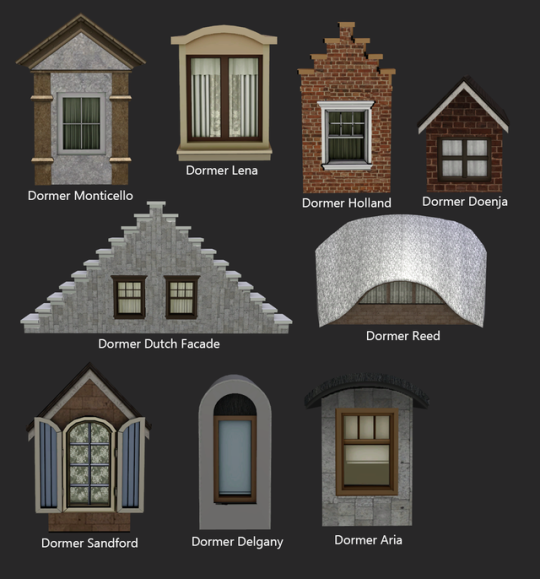 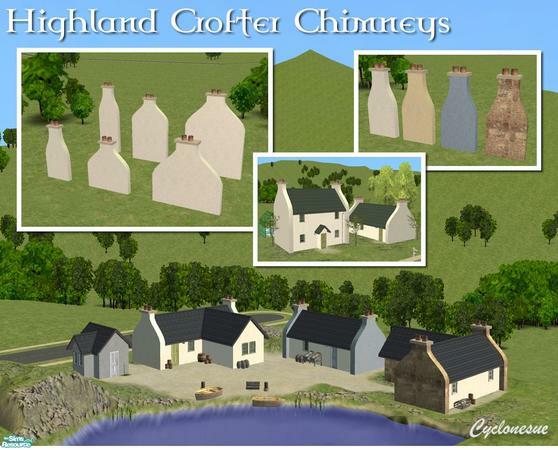 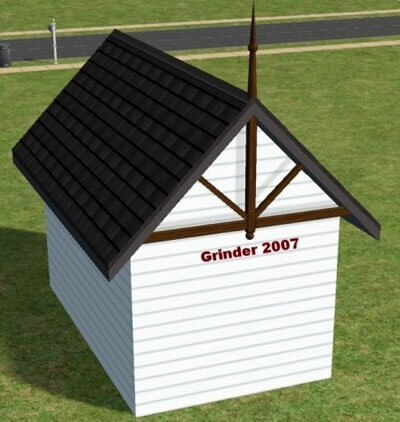 Description: A set of dormers converted from The Sims 3. 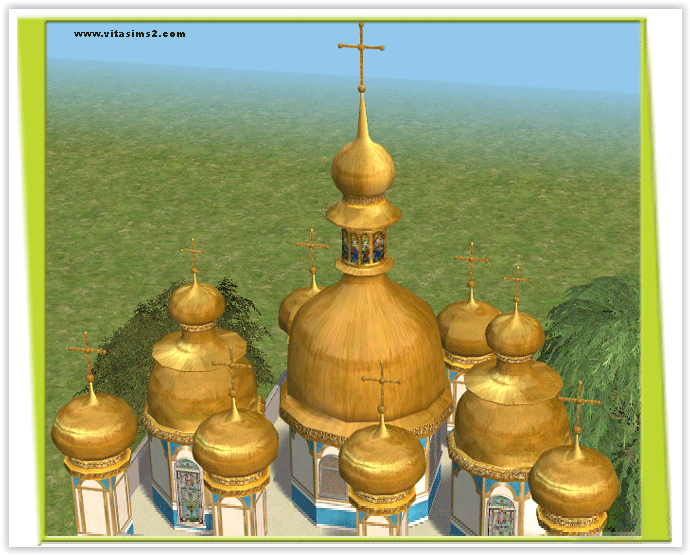 Description: Russian church golden domes decorations. 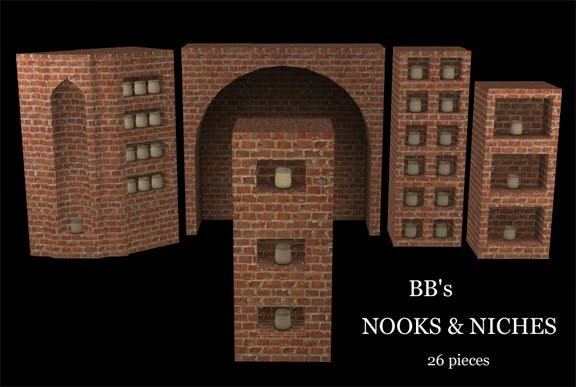 Description: Nooks and niches set. 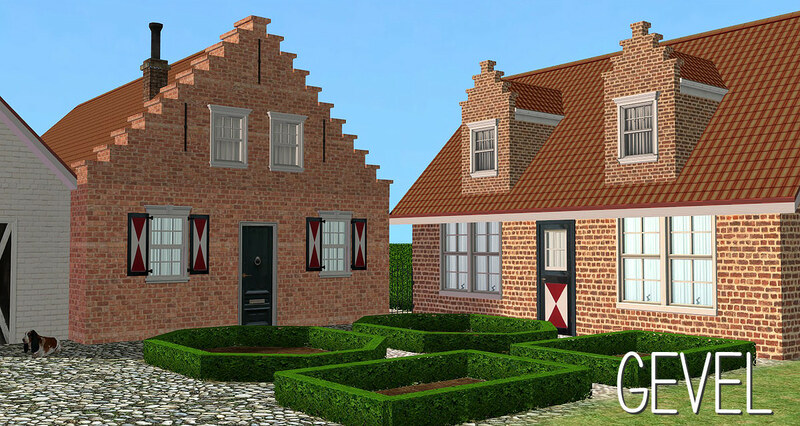 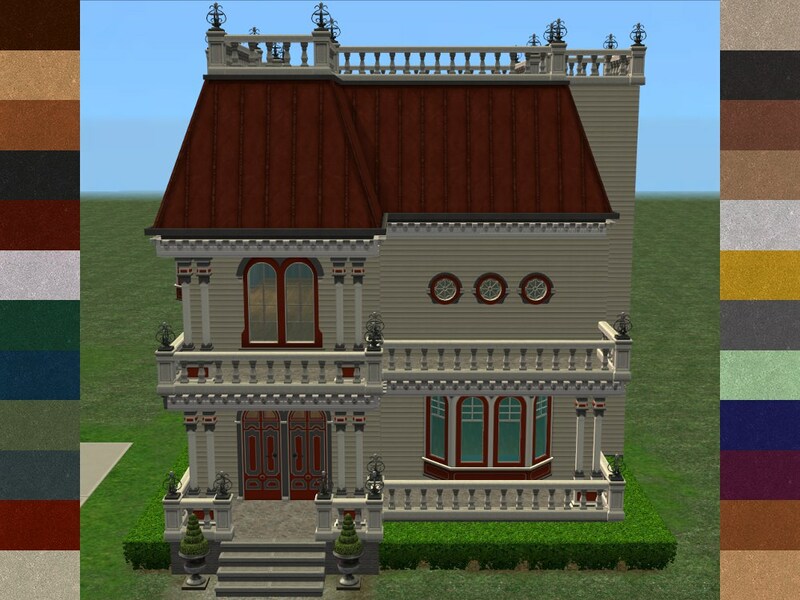 Description: A set of recolours of thecrimsonsparkles' dutch dormers with matching walls. 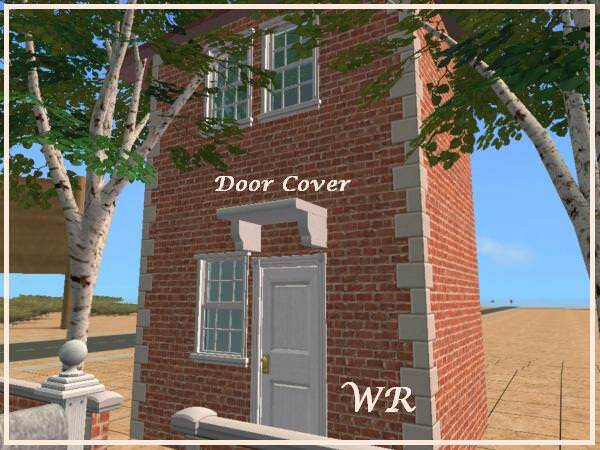 Description: 25 recolours of Roof Decoration by Conexion Bohemia that came with Apartment Life. 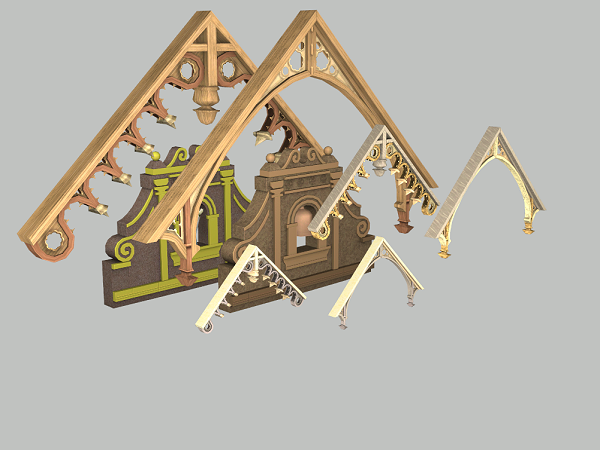 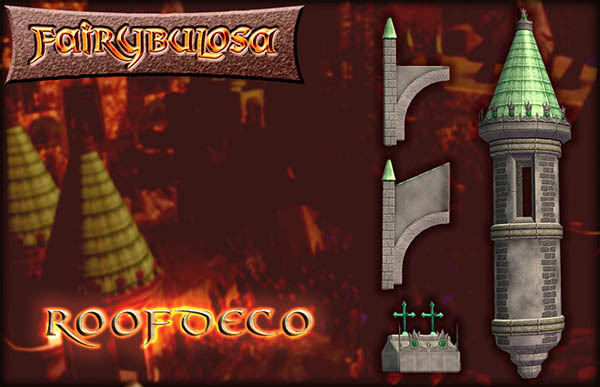 Description: A small set of fantasy-themed roof decorations. 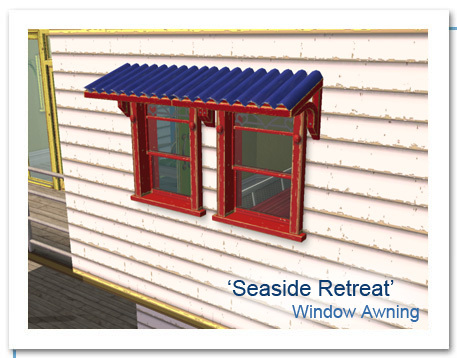 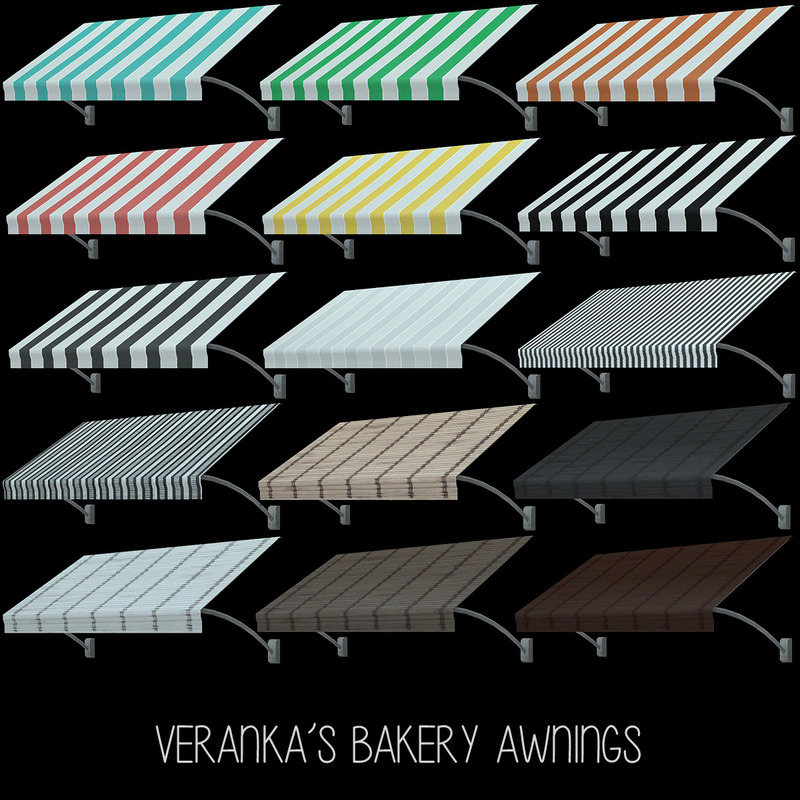 Description: A set of windows and matching awnings in different colour options. 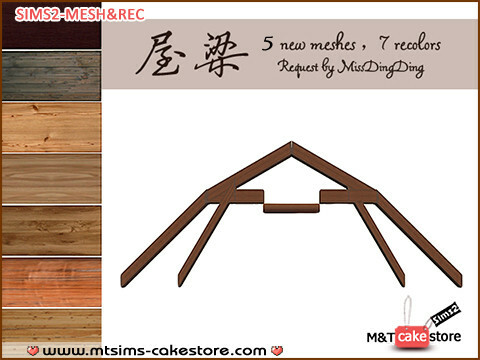 Description: Crown molding in several colours. 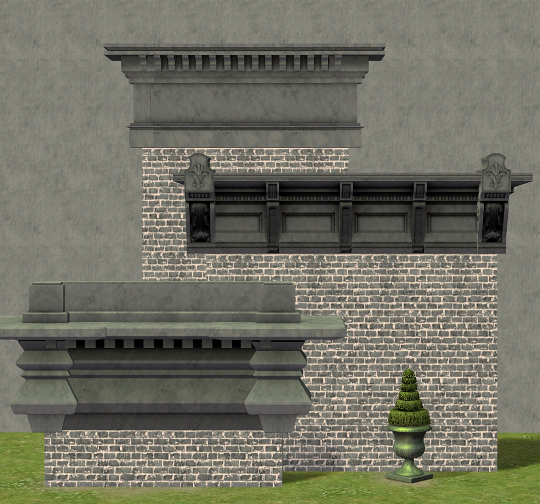 Description: Cornice set in neutral colours. 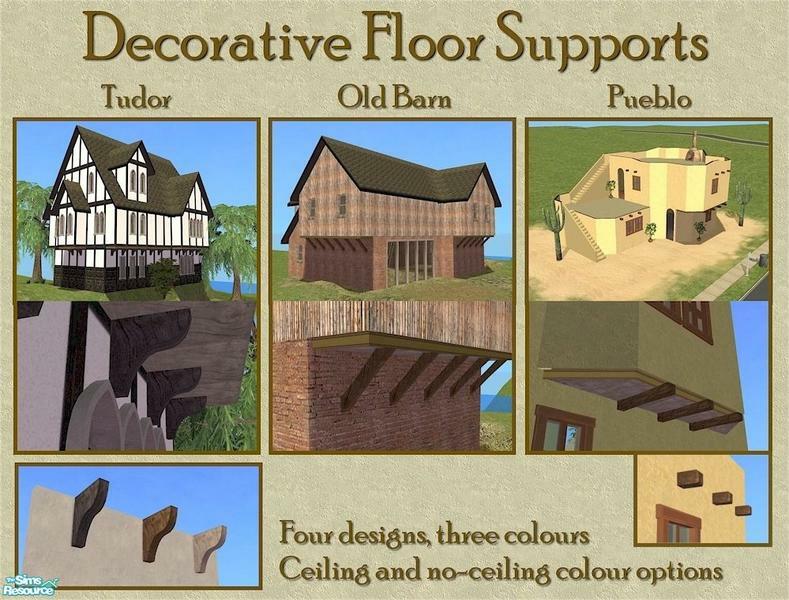 Description: Floor supports in three styles (Tudor, Old Barn and Pueblo). 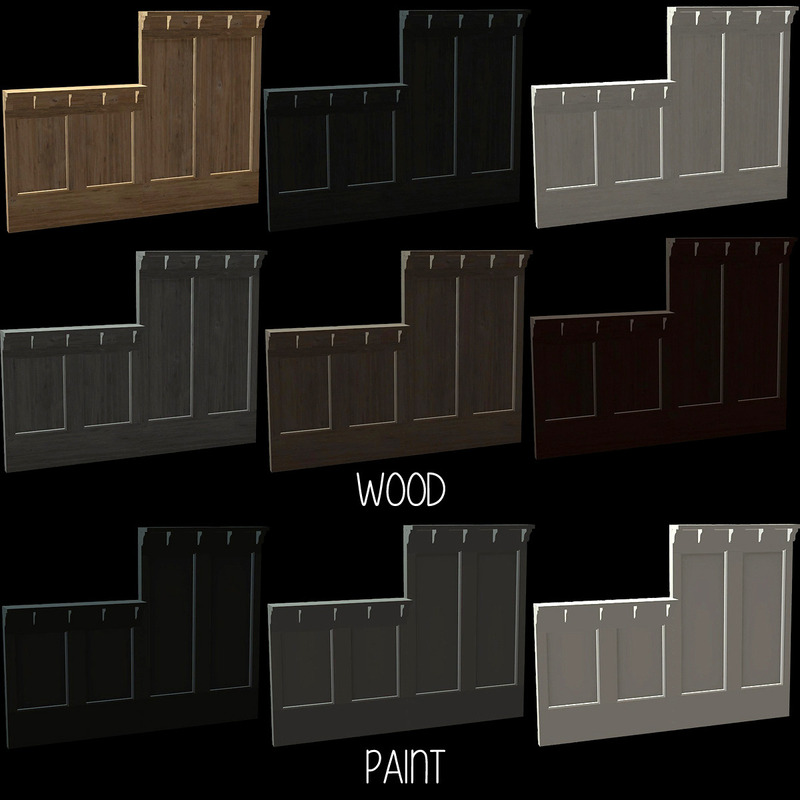 Description: Gable and walls in several colour options. 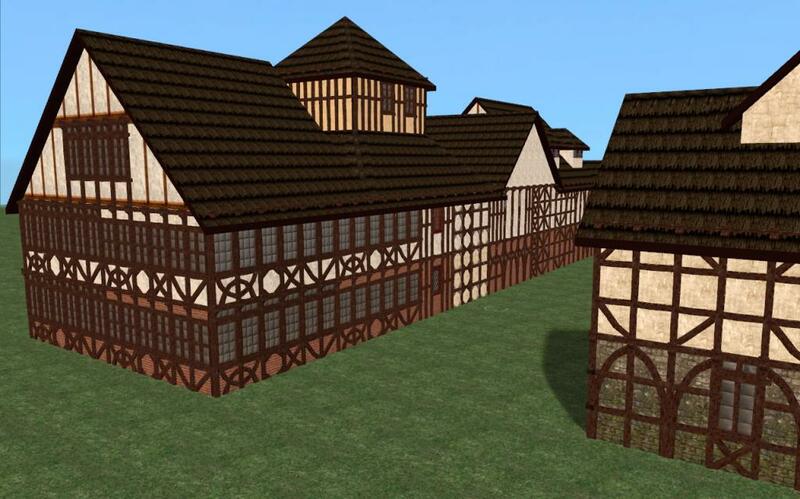 Description: A set to create Tudor style half-timbering. 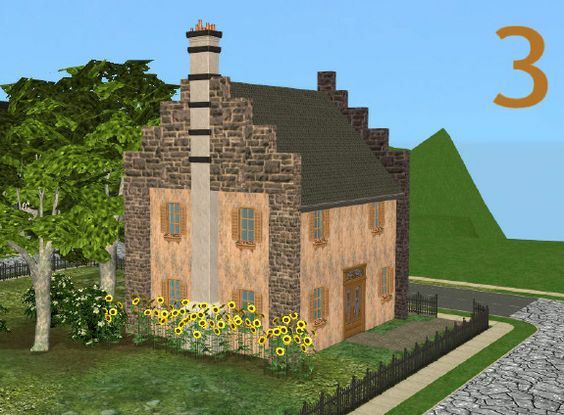 Description: Gables and dormers converted from the Sims 3. 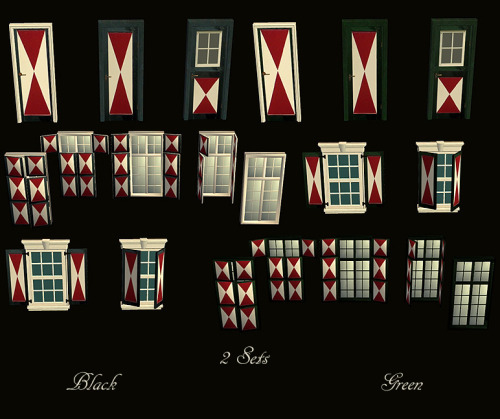 Description: Dutch shutters, windows and doors. 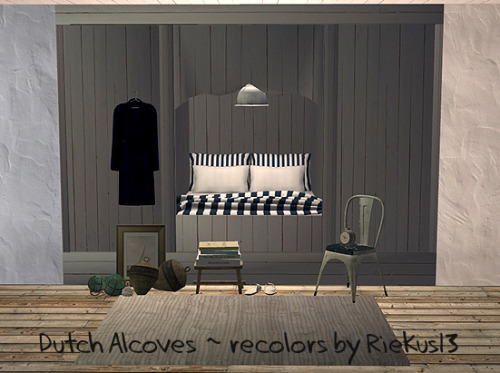 Description: A set of Dutch alcoves.